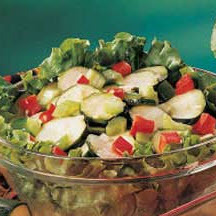 CooksRecipes has quality, kitchen-tested recipes for delicious salads featuring zucchini as a main ingredient. 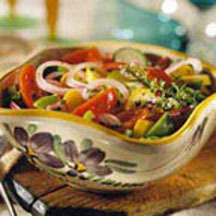 A simple garden salad of sliced zucchini, mushrooms, tomatoes and green onions tossed in a tangy vinaigrette. Marinate this tomato and zucchini salad for just 30 minutes—or all day.